A century after publication, John Buchan’s The Thirty-Nine Steps remains the quintessential spy thriller. There is no need to rediscover this novel, since it has never gone away. No work of fiction published during the Edwardian period is more widely available in bookstores in as many mass-market and scholarly editions. The presence of The Thirty-Nine Steps in popular culture has spread even further—the book’s title has a life of its own. It is one of the first adult adventure novels I can remember reading, part of an early teenage thriller binge that included Jack Higgins, Ian Fleming, Frederick Forsyth and Wilbur Smith, and a phase followed by a lasting engagement with the likes of Eric Ambler, Joseph Conrad and John le Carré. The writing career of John Buchan, who died in 1940, predates all of the other authors I have just mentioned except Conrad. 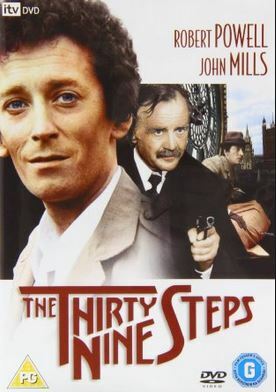 The Thirty-Nine Steps is the forerunner to countless subsequent spy thrillers and action movies where a lone hero is pitted against the forces of darkness, which is the scenario used by virtually all of them. 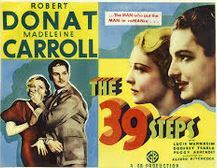 The Thirty-Nine Steps has spawned four feature-film adaptations, the first and best-known of which was directed by Alfred Hitchcock and released in 1935. The novel has also been adapted many times for radio, most notably for broadcast by Orson Welles’s Mercury Theatre in 1938. In recent years a comic stage version based on the Hitchcock film has been performed in many countries throughout the world, including South Korea, Russia, Israel, Poland and Australia, as well as enjoying a long run on the London stage that, at the time of writing, continues. A refreshingly uncomplicated tale of a manhunt that lasts a couple weeks, is set mostly in the Scottish Highlands and is told in around 40,000 words, The Thirty-Nine Steps has proved, so to speak, a runaway success. Indeed, the imperative of brevity and speed was something new and notable that Buchan brought to the thriller genre. By way of comparison, Rogue Male (1939), a manhunt thriller by Geoffrey Household, seems somewhat static, with the fugitive protagonist spending a considerable time in captivity (during which he suffers prolonged torture at the hands of his Nazi persecutors) before literally going underground, hiding in a forest cave back in England while he awaits the arrival of his pursuer. Rogue Male is an attempt at a psychologically complex manhunt thriller, and as such lacks the broad appeal of The Thirty-Nine Steps. The fact that the protagonist in Rogue Male has an opportunity to assassinate Adolf Hitler but doesn’t go through with it, apparently for arcane sporting or other reasons, marks him as a kind of reluctant action hero who simply would not fit in with the more direct, mainstream approach of Buchan. By definition in Buchan’s terms, an action hero is as an action hero does. Brisk and light compared with other classic Edwardian spy novels such as G.K. Chesterton’s mystical The Man Who Was Thursday (1908) or Erskine Childers’s brooding The Riddle of the Sands (1903), The Thirty-Nine Steps is no less in tune with contemporary international political anxieties. Buchan began writing the book just before the First World War began and completed it after the war had started. The Thirty-Nine Steps is remarkably cinematic for a novel published in the early days of the silent-film era. Certainly the thriller formula developed by Buchan had a profound influence on Hitchcock, who knew Buchan and whose “wrong man” style of thriller is derived from the model of The Thirty-Nine Steps. Hitchcock’s own film version of the book forms the basis for several of his subsequent Hollywood films, most notably the 1958 masterpiece North by Northwest. In that film, as in Buchan’s original, the protagonist, played by Cary Grant, is caught up in a wider international conspiracy and through a series of unfortunate events is obliged to avoid both sinister foreign agents and the local police. He realises that he has become a decoy in a full-scale espionage operation designed to expose enemy spies operating on home soil. The influence of The Thirty-Nine Steps on Hitchcock films such as North by Northwest may be seen not just in the manhunt theme common to both. In North by Northwest the Buchan influence is felt also in set-piece scenes such as the crop-duster attack upon the fugitive protagonist at the isolated bus stop. In the original novel, Buchan’s hero Richard Hannay is pursued across the Highland wilderness by a monoplane. This scene is typical of Buchan, and Hitchcock for that matter, in that it has great visual appeal as a self-contained spectacle without adding much to the story except to demonstrate the put-upon hero’s capacity for survival and to dramatise the danger of the chase. Similarly, a James Bond or Jason Bourne film essentially is an amalgam of car chases, fight scenes and explosions punctuated by a tense confrontation with the arch-villain whose grand machinations go on behind the mayhem, or perhaps a dalliance with a female who may or may not be involved in the conspiracy on one side or the other. Any quiet scenes are used to make the most of exotic scenery or interesting buildings—there is never a dull moment. 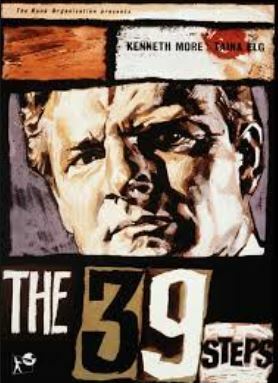 Buchan, in the foreword to The Thirty-Nine Steps, claimed to be paying homage to the pulp fiction of his time, which he describes as the type of “romance where the incidents defy the probabilities, and march just inside the borders of the possible”. 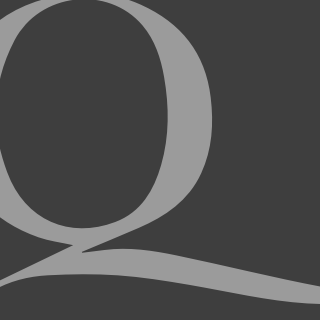 Quadrant subscribers read this essay in our December edition. Apart from a couple of brief delays due to capture and a drastically foreshortened bout of debilitating illness, Buchan keeps his hero Richard Hannay on the go. Non-stop spectacle and suspense offset any requirement for development of plot or depth of character, or rather these are worked in as the action is taking place. In other words, the spectacle is the occasion for the narrative, rather than the reverse. The “kinetic” approach to storytelling, to borrow a term used by Australian film director George Miller, has a parallel in Miller’s Mad Max films where everything we see and hear is geared to spectacle and the amount of exposition is kept to an absolute minimum. When organised cleverly, the effect is very impressive, though it can induce a certain impatience with other, slower thrillers. It is interesting to consider how such a slight book (in the physical sense) that Buchan claimed to have dashed off as a diversion during a period of illness proved so successful and came to exert such a powerful and lasting influence on popular culture. Originally setting the novel in the period before the outbreak of war, Buchan was obliged while writing the manuscript to change the ending once war had broken out. The name of what promises to be the major female character is mentioned early on, only to be more or less forgotten. The character of the informant Scudder, who brings Hannay into the mystery, seems to have changed while Buchan was writing the book—a transition effected by simply having the original persona made out to be a clever disguise. Also, there is a reliance on sheer coincidence that is heavy even by popular thriller standards. It seems to me that the improvised feel of the novel, the fact that often it reads like a first draft, can be viewed as a significant factor in its success. Like any profitable Hollywood blockbuster action film of today, what The Thirty-Nine Steps lacks in strict logic or even coherence it makes up for in sheer velocity and spectacle. One obvious gap left by Buchan in the original novel that was filled by Hitchcock and all subsequent film adaptors was the absence of any significant female character. Buchan evidently contemplated a female character at the start of the book—the name Julia Czechenyi is tantalisingly mentioned twice—but apparently the thought went no further. Female characters not only feature prominently in modern thrillers but increasingly have dominant roles as women in real life are more involved in espionage. The female action hero’s ascendancy in the Hollywood blockbuster is demonstrated in the latest Mad Max movie, where Max becomes part of the female hero’s mission rather than the other way around. In Hitchcock’s film of The Thirty-Nine Steps, Hannay is obliged to share his escape with a spirited woman after they are bound together by police handcuffs. This is the occasion for 1930s-style screwball comedy battle-of-the-sexes banter and also for the female character to show her capacity for ingenuity and survival as well as wit and tolerance. Similarly, though the relationship is more sophisticated, in North by Northwest the fugitive played by Cary Grant becomes romantically involved with a female spy played by Eva Marie Saint, a professional spy whose true role and allegiance, at least initially as far as he is concerned, appear uncertain if not hostile to his cause. The non-Hitchcock film adaptations of The Thirty-Nine Steps similarly make up for the gap in Buchan’s novel by including a strong female character who shares the adventure with Hannay. In the most recent screen version of The Thirty-Nine Steps, produced by the BBC in 2008, she proves herself Hannay’s equal as a member of the British secret service who, it turns out, is working undercover. The film ends with her moving on to her next mission as a professional spy just as Hannay is about to leave for the Western Front. Another aspect of the novel that seems unrealised, and which film-makers have worked to clarify in different ways, is the nature of conspiracy into which Hannay has been plunged. At the start of the novel it appears to be a nebulous worldwide conspiracy involving super-rich bankers and oligarchs who profit materially from the international conflicts they covertly engineer. Quickly, however, the immediate threat to Hannay and to Britain is crystallised in an attempt by German spies in England to steal Admiralty naval plans. For the sake of the story, the full implications of a vast global conspiracy seem to have been jettisoned altogether. One hydra’s head at a time is enough to deal with. Richard Hannay may be viewed as the prototype for innumerable thriller heroes—the honourable outsider, a kind of latter-day knight errant. Hannay is a Scottish-born, African-raised mining engineer who also has some kind of military background. Being the first-person narrator, Hannay can control the personal information that the reader receives and thus can be humbly vague about exactly what he has done and is capable of, usually referring to such matters by way of brief asides in between action scenes. Not unlike the typical Wilbur Smith white African bush hero, Hannay is an accomplished outdoorsman and is self-reliant, emotionally uncomplicated and chivalrous in a low-key manner. As an Edwardian, he is straightforwardly loyal to the British Empire, free of the jingoism of the Victorian era. While he can get angry and even lose his temper, Hannay simply doesn’t have the time to develop or express neuroses, nor can he afford to have any major flaws or weaknesses. He makes mistakes, but manages to extricate himself from dangerous situations by thinking quickly and acting decisively. He has what in the American military is known as situational awareness. It is not surprising that Hannay on screen has been played by English actors with the ability to more or less project these characteristics—Robert Donat, Kenneth More, Robert Powell and Rupert Penry-Jones. None of them quite embodies the original Hannay, though Penry-Jones seems to me to come closest in his obvious athleticism, which is de rigueur in actors playing thriller heroes now­adays anyway. The previous three actors playing Hannay, by comparison with Penry-Jones, might seem almost effete. All, however, remain positive in their outlook. Despite all the evil conspiracies out there, it is worth reminding ourselves of that key feature of the modern thriller exemplified by The Thirty-Nine Steps—optimism. In contrast to the grim realism of, say, Joseph Conrad in The Secret Agent or John le Carré in Tinker Tailor Soldier Spy, the oppressive bureaucratic aspects of espionage never interfere with the flow of the action in Buchan’s stories. A similarly confident attitude to the difference that may be made by a free-spirited individual is evident in the James Bond and Jason Bourne novels and films, where the lone hero not only makes a difference but during the course of the narrative becomes a kind of force of nature. This belief in the power of one is the stuff of countless westerns and detective stories as well as adventure thrillers. It is one of the defining features of Western civilisation. While the hero of Buchan’s conception is a fairly ordinary man of action, the arch-villain in The Thirty-Nine Steps has characteristics that mark him out as the kind of monster who was to become such a cliché in the James Bond franchise. In his study of narrative archetypes The Seven Basic Plots, Christopher Booker identifies what he terms the “Overcoming the Monster” plot, the earliest expressions of which in our culture include Beowulf. Although the members of the German spy ring being hunted by Hannay are adept at disguising themselves as ordinary Englishmen, their leader cannot conceal his extraordinary owl-like eyes. Interestingly, the novel ends with Hannay leaving England to serve as a junior officer on the Western Front. Although Hannay was the only man who could have saved the day in The Thirty-Nine Steps, after the German plot has been thwarted he is just another British soldier. It would not be long, however, before he is employed again as an independent secret agent in Buchan’s follow-up adventure, Greenmantle. Hannay appears in several further novels, eventually retiring in distinguished old age as Major-General Sir Richard Hannay. The character grew old in the imagination of its creator—in more than one sense, perhaps—but his exploits in The Thirty-Nine Steps are as energetic and engaging as ever. Simon Caterson is a Melbourne author and critic.